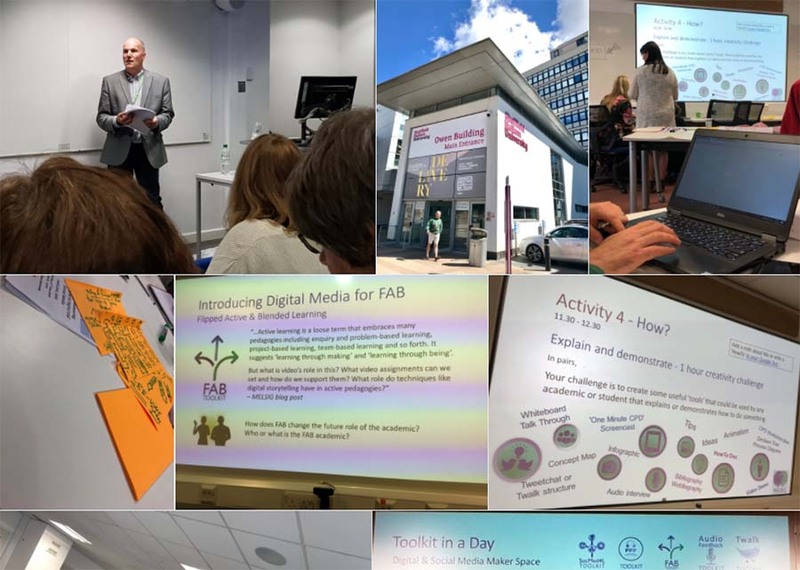 Last Thursday about 100 people worked together to produce three new MELSIG toolkits at the #melsig_shu Enhancing Practice with Digital and Social Media event. Where did we get to? Our video team is topping and tailing a huge quantity of video from the three toolkit strands – this is made up of scenes of the day, presentations and panel interviews, and artefacts that will be embedded as resources in each of the three toolkits. In addition, they are working with a lot of audio, recorded to capture conversations and demonstrate audio and podcast methodologies including audio case studies. Then there is the quantity of paper-based artefacts generated. For example, most delegates contributed to the Coffee Galleries – ‘instant poster’ sessions displaying key ideas to other teams during the coffee breaks (this was one of the ways we devised for making sure the toolkit teams shared what they were doing with each other. We are transcribing all this now, by toolkit theme. Each toolkit room excelled at using the whiteboards – for example, concept maps and decision trees were created, annotated and narrated over. Video FAQs were produced – we each posed tricky questions for the rest of our groups. And then everybody answered the tricky questions. More than that though, questioners were invited to bring their FAQ to life by selecting the most interesting answer and recording the FAQ as a video conversation. Both written responses and video conversations are being dealt with and this is going to produce an amazing resource. Throughout the day participants made stuff! The Google Docs and Padlets for each room are loaded with ideas and links to what was made. You get a sense of what happened. Bear with us while we try to unravel this and turn it into the online toolkits. If you were there and made something in the How session, please make sure we know about it and make sure we have a copy or a link to what you produced. So, we are very happy. The active learning co-production method worked and we will be sharing more on the methodology as soon as we can. Thank you everyone – I hope you enjoyed the day and got back home despite the rail strike.